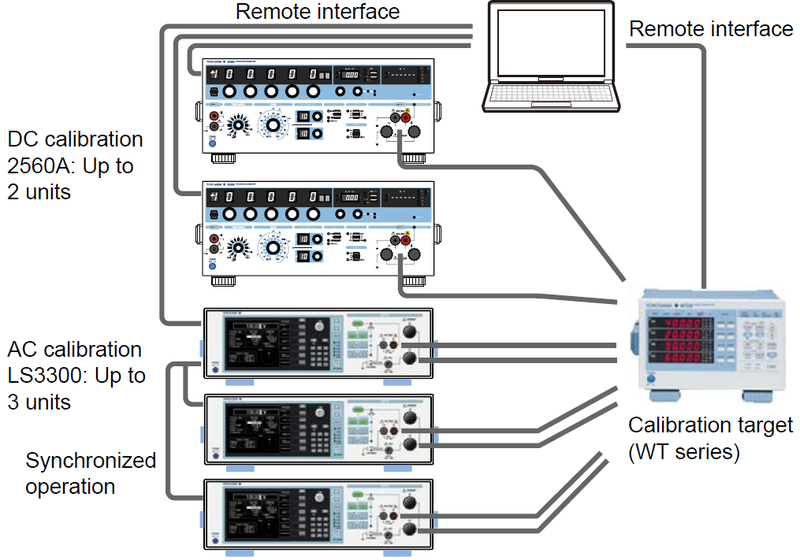 This software automatically calibrates a power meter (WT series) using YOKOGAWA's AC Power Calibrator LS3300 and 2560A Precision DC Calibrator. Load a CSV format file describing calibration points in advance to control the LS3300 or 2560A so that reference signals are output according to the calibration points. 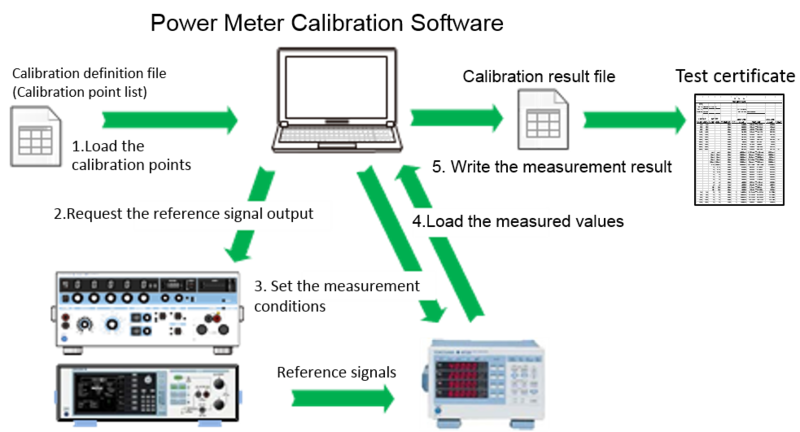 For the following instruments that can be controlled with this software, set the range of the calibration target instrument remotely for each calibration point to read the measured values automatically. You can save a calibration result in a CSV format file and create a test certificate. *: For a calibration targets other than WT100, WT200, WT300, and WT300E series, you cannot automatically set the measurement conditions and load the measured values. Automating calibration allows engineers to focus their energy on more time-sensitive tasks. This function judges pass/fail of a calibration value according to a set threshold and displays one of the three judgement results: Pass (Blank), Warning, Fail. Blank (Pass): The ratio of error to tolerance has not exceeded the threshold. Warning: The ratio of error to tolerance has exceeded the threshold. Fail: The ratio of error to tolerance is 100% or more. 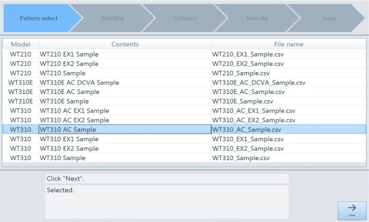 Sample files are provided for each WT series model. Calibration points can be created arbitrarily as a calibration definition file. 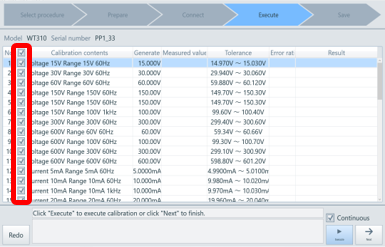 You can also choose certain desired points from among the created calibration points. 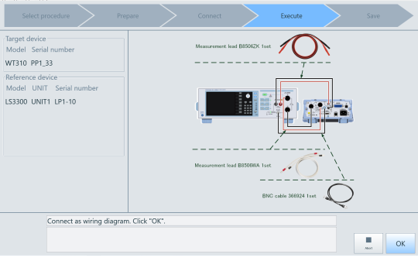 For calibration patterns and instrument connection methods, operation instructions and wiring diagrams are shown on the screen. 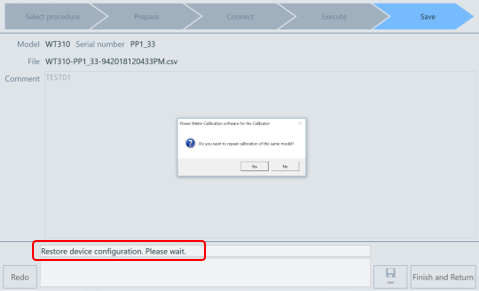 You can save a calibration result in a CSV format file and create and print a test certificate. Calibration automatically changes the measurement conditions including the measurement range. To revert to the original settings, you can save the settings before calibration and reset them after calibration. You need to manually set the measurement conditions and read the measured values for the calibration target instrument. The instrument configuration varies depending on the calibration details. Calibration function Outputs single-phase/three-phase power by specifying the voltage/ current level and phase. 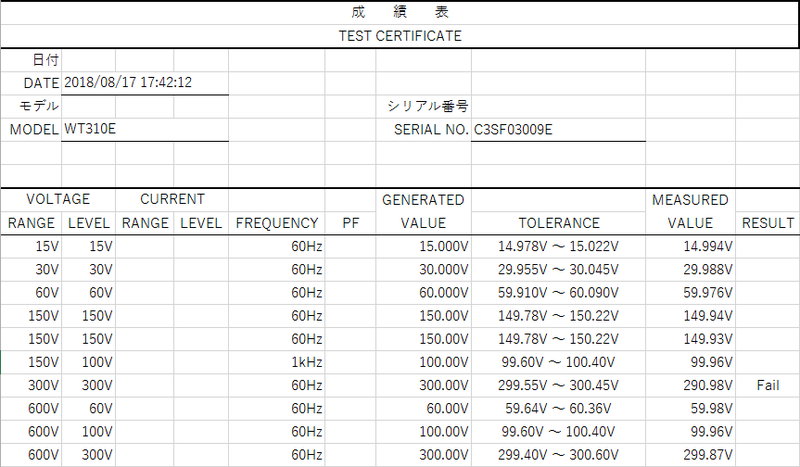 1.01.001 Added Calibration Definition File samples that can only perform AC calibration for the power meters, WT310, WT310HC, WT310E, WT310EH.